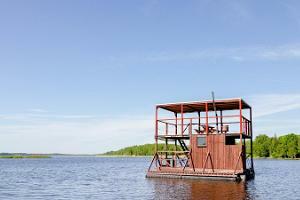 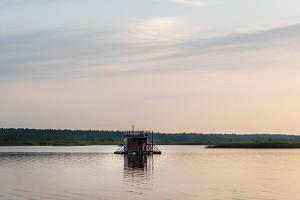 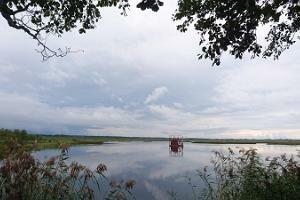 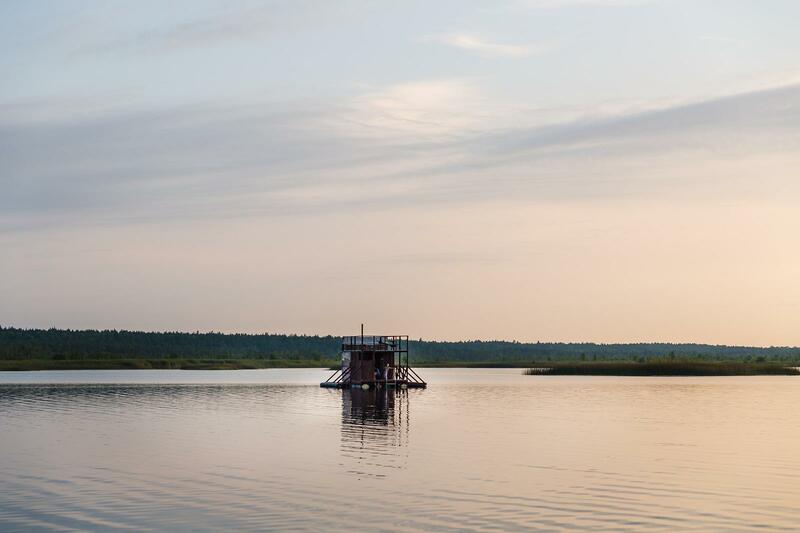 The private two-storey raft sauna on Ermistu lake offers sauna experience for up to 10 people. 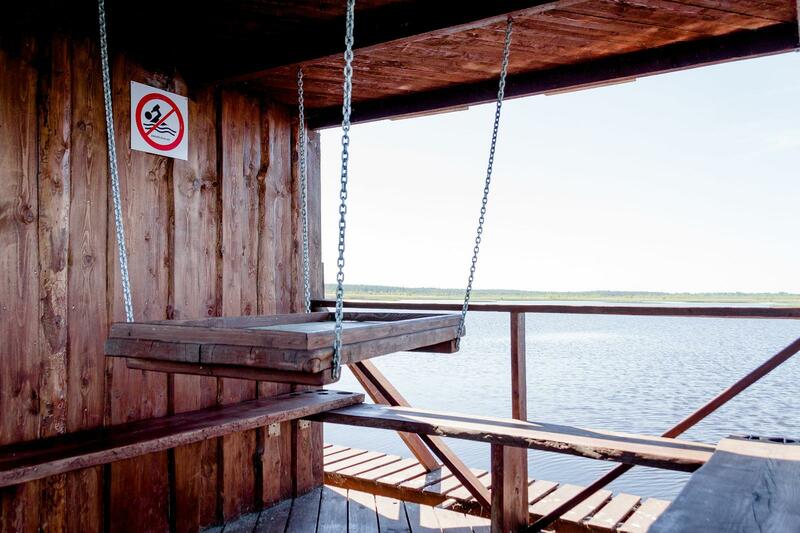 On the ground floor, there is a spacious steam room with a wood-burning heater, a ladder which you can use to go swimming, and an area for sitting. 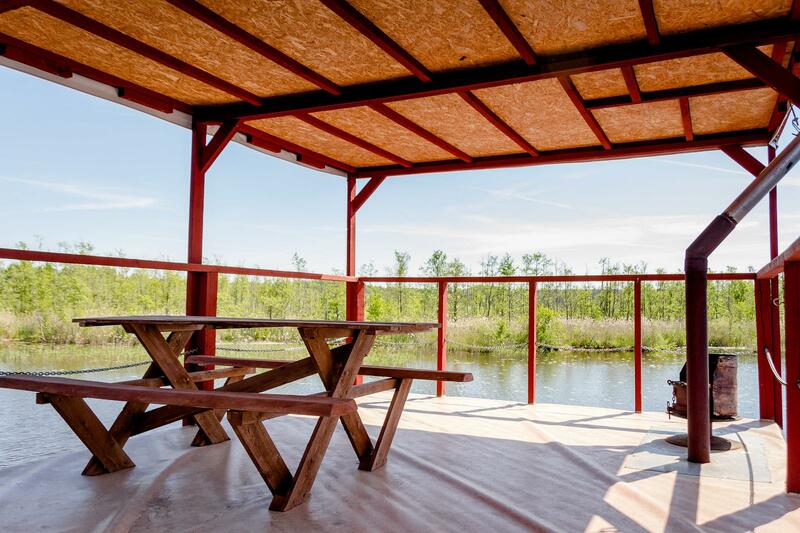 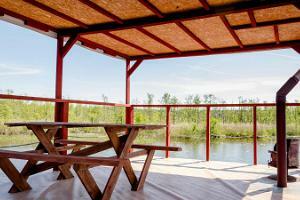 On the first floor, you can barbeque and spend some lovely time together behind a table, or simply enjoy the wonderful lake view. 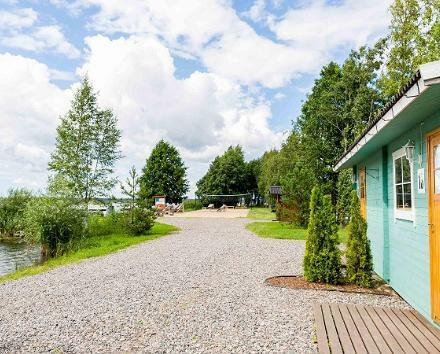 The rental price is 50€ first hour and 25€ every additional hour. 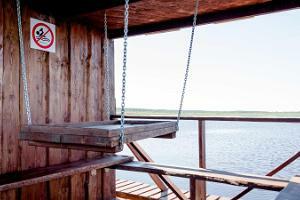 The minimum renting time is 2 hours. 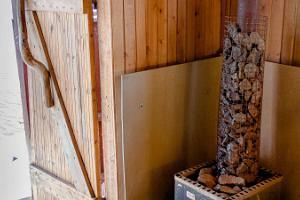 Please take into account that it takes about an hour to heat up the sauna. 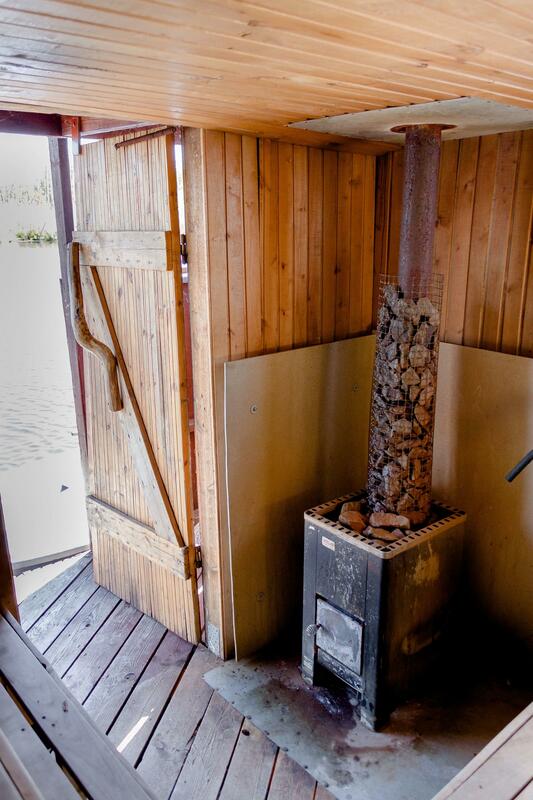 For a better experience, heat up the sauna yourself. 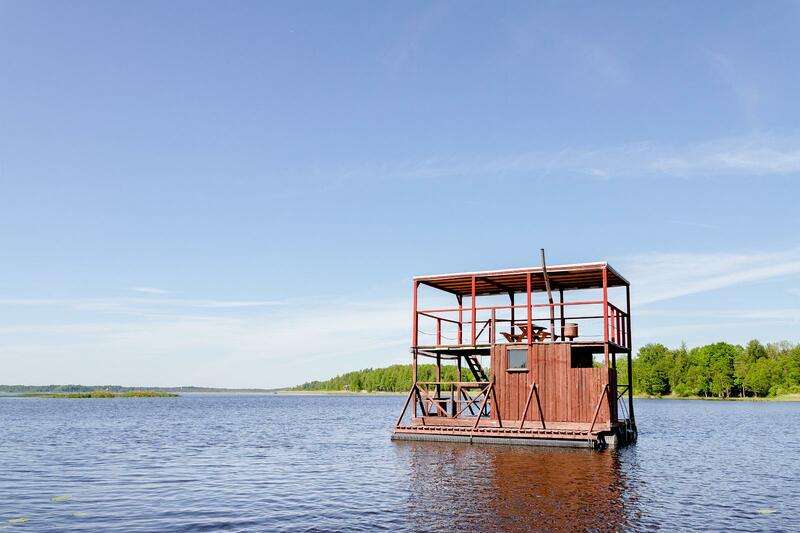 Firewood and a boat are included in the price.